One of the benefits of a columnar database is its crazy fast query speeds. In some cases, queries that took minutes or hours are completed in seconds. This makes columnar databases a good choice in a query-heavy environment. But you must make sure that the queries you run are really suited to a columnar database. Let’s think about a basic database, like a stockbroker’s transaction records. In a row store, each client would have a record with their basic information – name, address, phone number, etc. – in a single table. It’s likely that each record would have a unique identifier. In our case, it would probably be an account_number. There is another table that stored stock transactions. Again, each transaction is uniquely identified by something like a transaction_id. Each transaction is associated to one account_number, but each account_number is associated with multiple transactions. This provides us with a one-to-many relationship, and is a classic example of a transactional database. 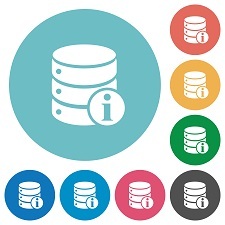 We store all these tables on a disk and, when we run a query, the system might access lots of data before it determines what information is relevant to the specific query. If we want to know the account_number, first_name, last_name, stock, and purchase_price for a given time period, the system needs to access all of the information for the two tables, including fields that may not be relevant to the query. It then performs a join to relate the two tables’ data, and then it can return the information. This can be inefficient at scale, and this is just one example of a query that would probably run faster on a columnar database. With a columnar database, each field from each table is stored in its own file or set of files. In our example database, all account_number data is stored in one file, all transaction_id data is stored in another file, and so on. This provides some efficiencies when running queries against wide tables, since it is unlikely that a query needs to return all of the fields in a single table. In the query example above, we’d only need to access the files that contained data from the requested fields. You can ignore all other fields that exist in the table. This ability to minimize i/o is one of the key reasons columnar databases can perform much faster. Additionally, many columnar databases prefer a denormalized data structure. In the example above, we have two separate tables: one for account information and one for transaction information. In many columnar databases, a single table could represent this information. With this denormalized design, when a query like the one presented is run, no joins would need to be processed in the columnar database, so the query will likely run much faster. The reason for normalizing data is that it allows data to be written to the database in a highly efficient manner. In our row store example, we need to record just the relevant transaction details whenever an existing customer makes a transaction. The account information does not need to be written along with the transaction data. Instead, we reference the account_number to gain access to all of the fields in the accounts table. The place where a columnar database really shines is when we want to run a query that would, for example, determine the average price for a specific stock over a range of time. In the case of the columnar database, we only need a few fields – symbol, price, and transaction_date – in order to complete the query. With a row store, we would gather additional data that was not needed for the query but was still part of the table structure. Normalization of data also makes updates to some information much more efficient in a row store. If you change an account holder’s address, you simply update the one record in the accounts table. The updated information is available to all transactions completed by that account owner. In the columnar database, since we might store the account information with the transactions of that user, many records might need updating in order update the available address information. So, which one is right for you? As with so many things, it depends. You can still perform data analysis with a row-based database, but the queries may run slower than they would on a column store. You can record transactions in a column-based model, but the writes may takes longer to complete. In an ideal world, you would have both options available to you, and this is what many companies are doing. In most cases, the initial write is to a row-based system. We know them, we love them, we’ve worked with them forever. They’re kind of like that odd relative who has some real quirks. We’ve learned the best ways to deal with them. Then, we write the data (or the relevant parts of the data) to a column based database to allow for fast analytic queries. Both databases incurred write transactions, and both also likely incur read transactions. Due to the fact that a column-based database has each column’s data in a separate file, it is less than ideal for a “SELECT * FROM…” query, since the request must access numerous files to process the request. Similarly, any query that selects a single or small subset of files will probably perform better in a row store. The column store is awesome for performing aggregation over large volumes of data. Or when you have queries that only need a few fields from a wide table. It can be tough to decide between the two if you only have one database. But it is more the norm that companies support multiple database platforms for multiple uses. Also, your needs might change over time. The sports car you had when you were single is less than optimal for your current family of five. But, if you could, wouldn’t you want both the sports car and the minivan? This is why we often see both database models in use within a single company. Rick Golba is a Product Marketing Manager at Percona. Rick has over 20 years of experience working with databases. He has worked at Percona as a Solutions Engineer before moving to the Marketing team. Prior to Percona, he worked as a Technical Trainer for HP/Vertica.